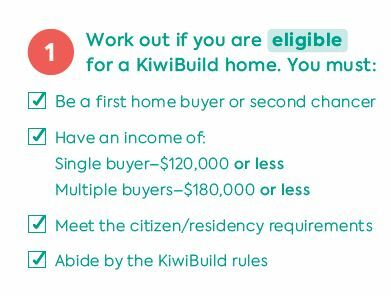 KiwiBuild is a fantastic initiative; it gives me a small glimmer of hope that home ownership in Auckland is do-able. But even I know all too well the gloomy, treacherous, frustrating road to development. So with this cautiously optimistic framework laid, here are 10 thoughts, questions and concerns of a young adult renting in Auckland who would one day love to have a spot to call her own. I am very happy that some form of initiative to make it easier for home ownership has emerged! It’s not often you feel the government doing something that will directly benefit you. In saying that they did make it pretty easy to feel included with crazy high income caps of 120k and 180k for couples respectively. Nevertheless, it’s something! I’m very sceptical of how well KiwiBuild is actually going to work. It’s easy to be the politician who fronts up to the renters of New Zealand and tell them they can now hope to own their own home in which they can grow their own little veggie garden. However, bureaucracy is bureaucracy and political promises and policy are often back-tracked. Once this initiative actually gets off the ground I may have more faith. Council are incredibly hard to work through. They take a long time to respond, they lose entire applications, and they go on leave and don’t provide an alternative contact. Council are pre-programmed to look for reasons to decline the consent. There needs to be an independent team of people processing KiwiBuild resource and building consents, with a mandate to approve, like the SHA team once was. Otherwise things just won’t happen fast enough, or efficiently enough. Perhaps the Government needs to open the doors for construction workers to come from overseas so they can smash out building these homes. Similar to the Christchurch rebuild. When the city needed rebuilding they made it easy to happen as quickly as possible! Well, we need new builds across the country! Let’s get more people in to help get it done faster!! There often isn’t enough infrastructure or good enough infrastructure in place to accommodate all these new homes! How will this be funded? When will it be installed? Or will we just rely on existing pipes and thrash them until raw sewage is all over our beaches and streets? Since signing up, I now know that applicants need to ‘pre-qualify’. We’re interested in know exactly how people who meet the above criteria are selected over another. Is it literally your name goes into a hat and if it’s drawn out you’re in? Is it done with an online, randomly selected mathematical algorithm? And if so, can we hack it?! As a part of pre-qualifying for the chance to go into the ballot you have to have an approved mortgage application. KiwiBuild doesn’t necessarily make this hurdle isn’t any easier. Sure the loan amount may be less, but surely the Banks will still asses you the same way. Let’s say I pre-qualify for KiwiBuild, the banks approve my mortgage application, I promise I’ll live in my house for three years and I live happily eating avo on toast in my little sanctuary. Three years pass and I’m ready to move to a bigger and better house. Do I get to keep all of the capital gain? Without it I can’t imagine how I am meant to afford a second home! Of course this all leads to half the reason we’re in this mess. Everyone expects to make money when on-selling their property. So much so that after so many generations these properties are now out of reach for people like myself. But then who am I to then perpetuate the system? Look at me, on my high horse now that I’ve won a KiwiBuild home wanting the very thing that so many people before have secured. It’s additional income for a new home, savings for retirement, a new car, a second property. Can I have it both ways? A housing market that is accessible without grants, ballots and parent hand-outs and capital gain on my house that I was assisted into? Only time will tell how this plays out. For my sake, the sake of my fellow renters and those still bunking with their parents, I really hope it works out as successfully as the Government are promising it will, because we have to start somewhere.